Just as Christmas Eve approached, I received a little card in my mailbox about a package waiting for me at the post office. This is something unique for where we live in Alaska; the mail delivery is done by mostly contract operators so packages have to be picked up rather than left at your door. I couldn’t get into the parking lot to pick up until just after Christmas and now get to share with you about the FabFitFun Winter 2015 subscription box! 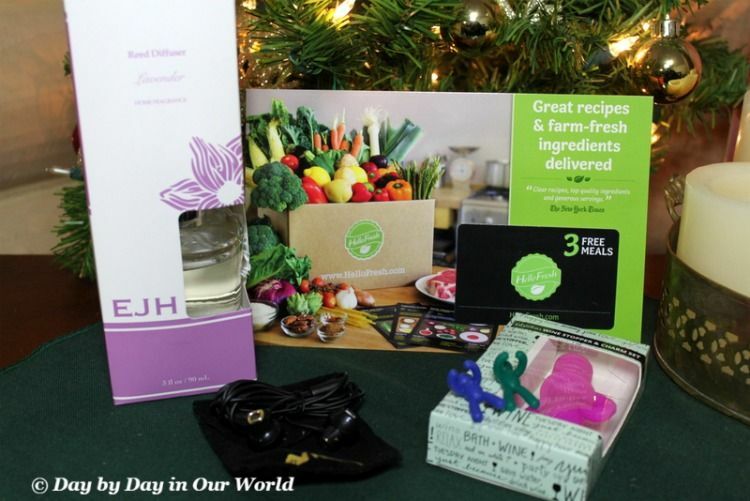 Note ~ Links for the subscription box service are affiliate ones. There is NO cost to you for using them. Sometimes something more than just a series of photos is the perfect way to see what you’ll receive. Enjoy this unboxing video by yours truly! I have a trip to Las Vegas which means hours in the air. “The Donna Earbud” by Frends are a must whether I am listening to music on my phone while reading or watching a downloaded video on my Kindle Fire. I’ve never had a small case to carry them in, but now I have a new pair with its own special snap closure bag. I can hardly wait! I also adore the scent of Lavender and thing this reed diffuser by EHJ Brand will be so soothing in my bedroom. And, aren’t the little person wine stopper and matching ‘charms’ adorable? Dry air during the long Alaskan wintertime means dry skin for me. Drinking more water only goes so far at keeping the ‘scales’ away. 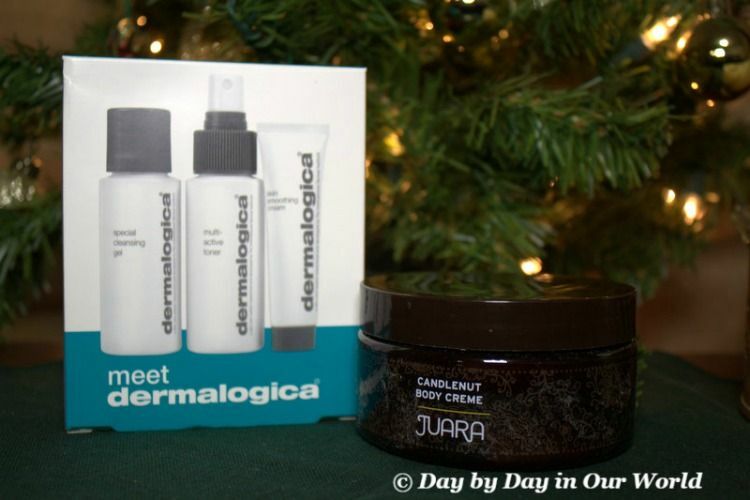 The Candlenut body creme by JUARA should help with that as will the Dermalogica travel set. Fingerless Gloves are something that will be quite practical whether I am typing on the computer in the early morning or sitting bundled under covers reading a book late at night. I can hardly wait to paint my nails with the new Zoya nail polish which is in a color that I believe will suit me quite well. Finally, who doesn’t love some gift card love to pick up something that catches your eye? All in all, FabFitFun has done it again with a fabulous Winter 2015 box. Which of the items in the FabFitFun Winter 2015 box would you love to have?